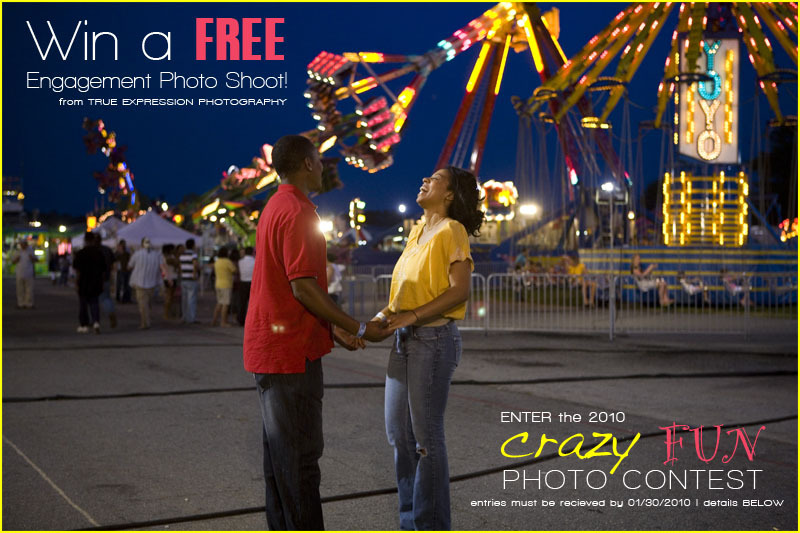 Engaged couples: send in a crazy, fun photo of you and your fiancé and you could win a free engagement session and photo guest book! I love taking fun photos that really show off your personality, so last year I held a contest asking my blog readers to send in their own crazy, fun photos. Since last year's contest was so much fun, with over 1,300 total votes cast and lots of tight competition for the finalists, I decided to do it again this year! The contest is simple. Sent me a fun photo of you and your fiancé. I will post my 10 favorite entries on my blog and blog readers will vote on their favorite photo. Photos should be fun and creative and will be judged on how well they show your personalities- not on photographic quality. Entries must be received by midnight EST on January 30, 2010. Get those entries in! I can't wait to see what everyone comes up with. Finalists will be announced February 1st on the blog!